Dymalux™ is very similar to Dymondwood in the way it looks, machines and performs. 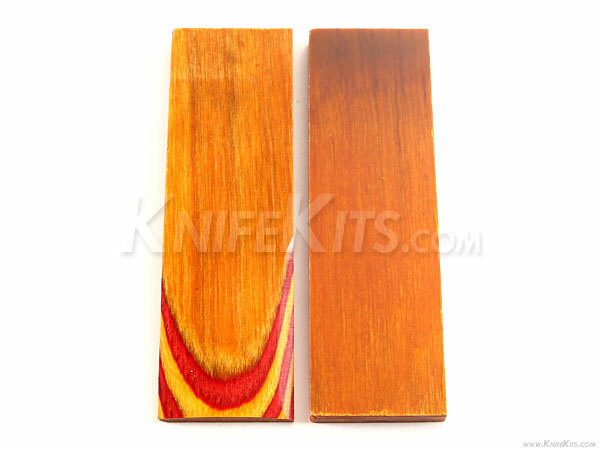 It is made from multiple laminated layers of dyed wood that is set in high-performance resin. Dymalux™ machines like butter and is easy to finish. 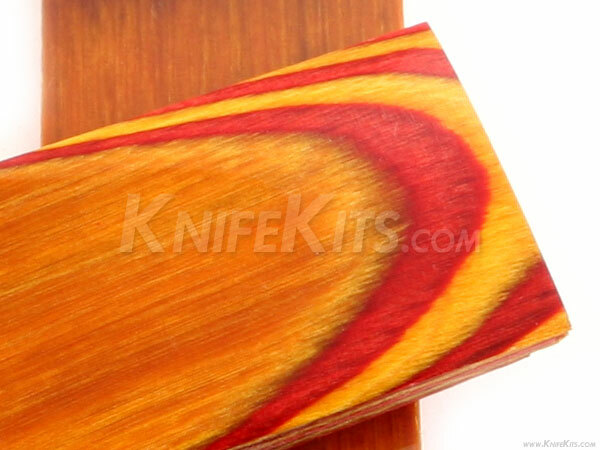 This material makes a great handle material for custom knife and gun use. And it's very cost effective, making it a great option for testing handle treatments and finish sanding technique.